Kárpátalja is an area encompassing the westernmost point of Ukraine, resting on the eastern slops of the Carpathian Mountains. Kárpátalja literally means “the base of the Carpathians” in Hungarian. The area was part of the medieval Kingdom of Hungary, until that was broken up in 1920 after the end of the First World War. It was briefly occupied by Romania before becoming part of Czechoslovakia, before being annexed again by Hungary during the Second World War, before being officially ceded to the USSR by Czechoslovakia in 1945, before becoming part of the newly independent Ukraine when the USSR split in 1991. Kárpátalja, the Hungarian area, sits within the wider region of Carpathian Ruthenia, which also has a significant Romanian population living alongside the Ukrainian majority. 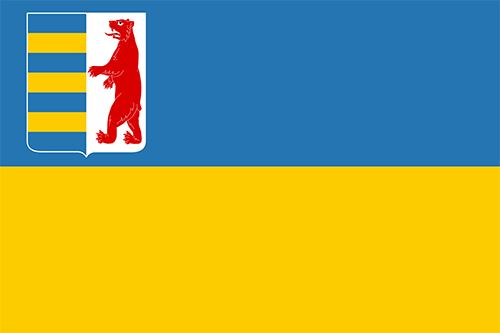 Carpathian Ruthenia is a historic area with borders that roughly match Zakarpattia Oblast in Ukraine. When Ukraine became independent in 1991, many in the area voted for greater autonomy, though this was not granted. Ethnic tension in the region is low, there are no attempts to forcibly assimilate the population and Hungarians in Ukraine often learn Hungarian in school. The Kárpátalja Football Association was set up to represent all Hungarians in Ukraine – the vast majority of whom live in Kárpátalja. Kárpátalja participated in their first international tournament last year at the 2017 ConIFA European Championship. They finished third in a tight group, then beat Ellan Vannin on penalties (Ellan Vannin players possibly live too near to England to expect penalty success) in the 5th place play-off. Their worst result so far came in that tournament, a 1-0 loss to hosts Northern Cyprus. Their star player is veteran Zoltán Baksa, a journeyman of the Hungarian and Ukrainian leagues, who may or may not actually play in the tournament.